Hi, I'm Linda Terrill. Welcome to my profile! 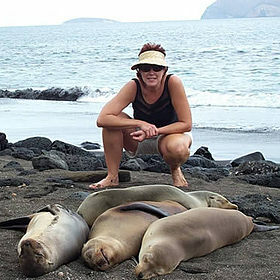 Linda Terrill is Luxury Travel Advisor. Specialties: Ocean Cruises & River Cruises. Complimentary perks at over 1,000 5-Star hotels and resorts worldwide. Brownell affiliate, Four Seasons Preferred Partner, Starwood Luxury Privileges Program, Dorchester Diamond Benefits, Belmond/Orient-Express Bellini Club, Ritz-Carlton STARS, Rosewood Elite. Cruise and Luxury Hotel Specialist. Personalized travel planning services, exclusive cruise group benefits, and complimentary Virtuoso Voyager Club membership. Luxury hotels benefits can include complimentary upgrades, free breakfasts, food and beverage credits, and other value-added amenities. Four Seasons Preferred Partner, Ritz-Carlton STARS, Rosewood Elite, Orient Express Bellini Club. Premier Regent Seven Seas, Seabourn, Silversea and Oceania Cruise Specialist. Multi-generational family and affinity group cruises specialist for all premium and luxury cruise lines.